Lido di Jesolo is not just the perfect choice for your sun, beach and fun holiday, it also offers countless chances of entertainment, sport, cultural activities for both adults and children. Water sports such as swimming, diving activities, fishing, water skiing and sailing can be combined with land sports such as tennis, horse-riding, fitness, cycling, beach volley and beach soccer. Moreover, you will find elegant spas or other facilities such as Aqualandia water park, one of the biggest and most appreciated water parks in Europe (Hotel Mare Live provides reduced entry tickets), Golf Course 18 holes, the Adventure Golf – themed mini golf tematizzato, the Karting club. Jesolo also offers unforgettable visits and shows for both adults and children: the new Sea Life aquarium, the Reptilarium reptile house, the Tropicarium Park and Predators, the amusements parks New Jesolandia and Gommapiuma, the Panoramic Wheel, the Sand Sculptures and the Galeone Veneziano, a real galleon for pirate adventures. After the sunset, Jesolo becomes the summer capital of shopping and night life. In its famous pedestrian area there are thousands of shops, bars and restaurants for all tastes. Jesolo also offers a wide choice of shows, international concerts with the best bands and deejays, sport meetings and major events. Moreover, the night life lovers will find all the most trendy clubs open until dawn! Jesolo is also the ideal departure location to visit and discover Veneto and Friuli Venezia Giulia, two unrivaled regions for art, history and nature: first of all Venice with its lagoon and islands such as Burano, Murano, Torcello, Sant'Erasmo, Unesco World Heritage. From here you can also leave to discover cities of art and breath-taking old town centers such as Verona, Padova, Vicenza, Marostica, Castelfranco, Bassano del Grappa, historical and archeological sites such as Aquileia, unique natural beauties and wine and food routes such as Dolomites - Unesco World Heritage, Riviera del Brenta, Venetian villas, the Prosecco Route and the Valpolicella, enchanting hamlets such as Asolo, Feltre, Sesto al Reghena. 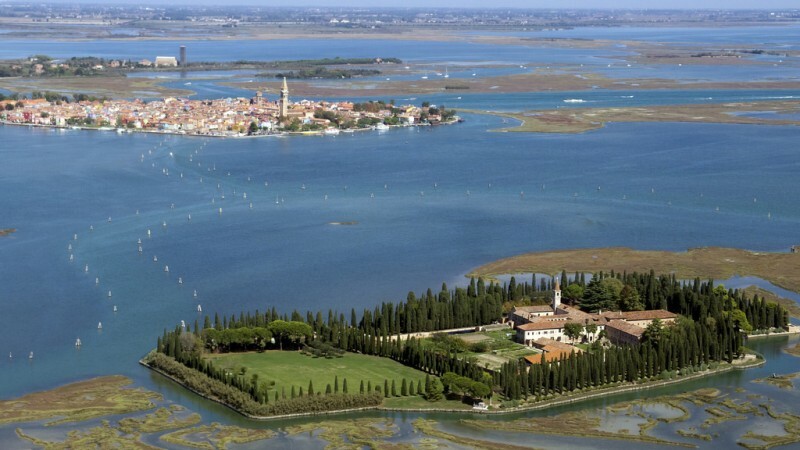 Would you wish to discover Venice and its Lagoon in a way which is different, unusual, magic... slow?